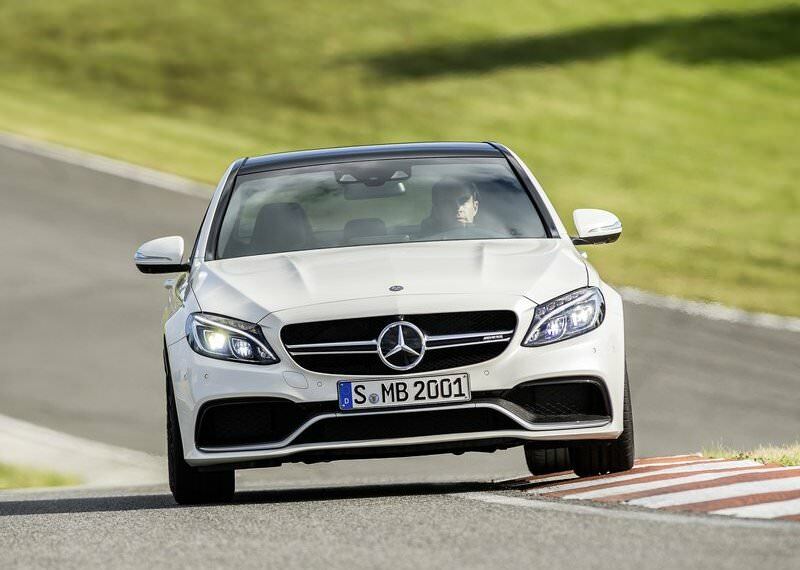 Yes, thats what our reaction was when we read the specifications of the 2015 Mercedes C63 AMG. The C63 will be officially unveiled next week at the Paris Motor Show, but meanwhile we have a few details about the car, thanks to Mercedes’ deutschland website. It will come in two variants, a C63 AMG and a C63 AMG S model. 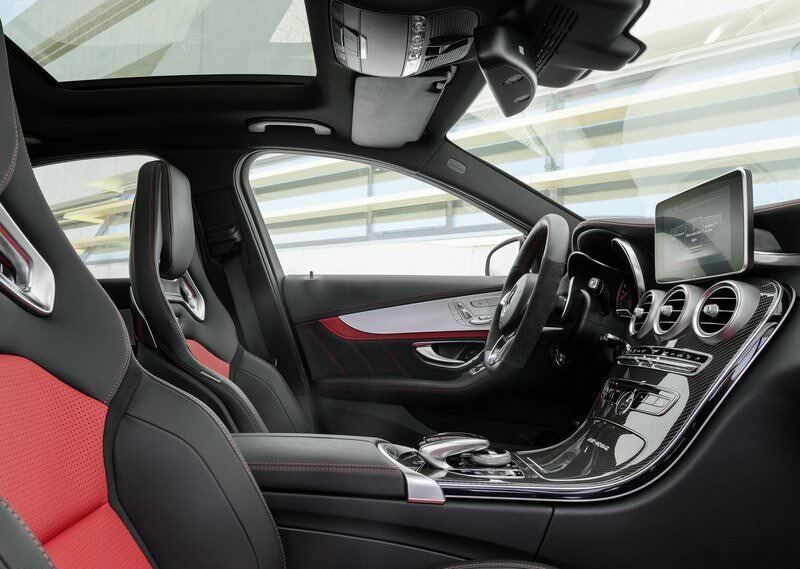 In the “standard” AMG, the 4.0 litre V8 borrowed from the new AMG GT will produce 476 hp between 5,500 to 6,250 rpm with maximum torque of 650 Nm between 1,750 rpm and 4,500 rpm. 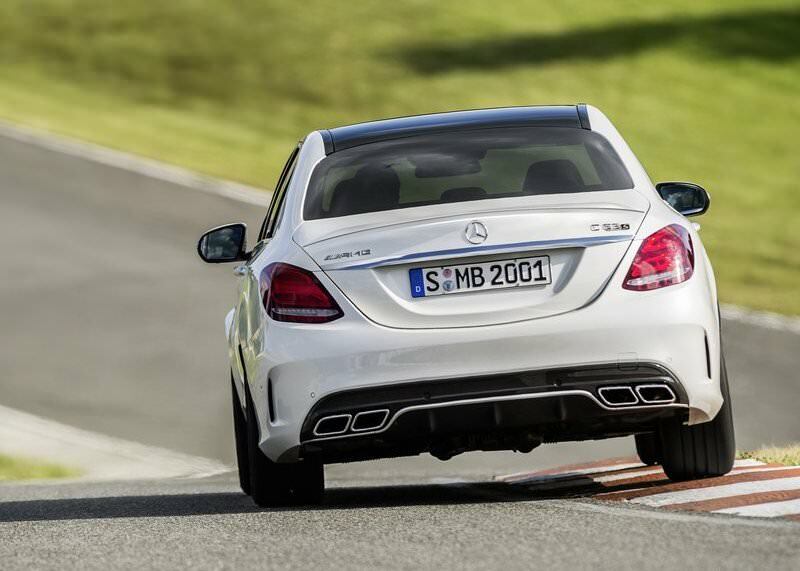 A jump up to the C63 AMG S will get you 503 hp and 700 Nm of torques in the same rpm as before. Plonking a large engine from a much faster and higher range car into a smaller one can never go wrong can it? Bot the above versions will be available in two body styles: a sedan and an estate. An AMG SPEEDSHIFT 7-speed gearbox will power the wheels, and the car, upto 250 kmph(electronically limited). Mercedes claims to have worked on the aluminium paddle shifters inside the car to make them faster than before. 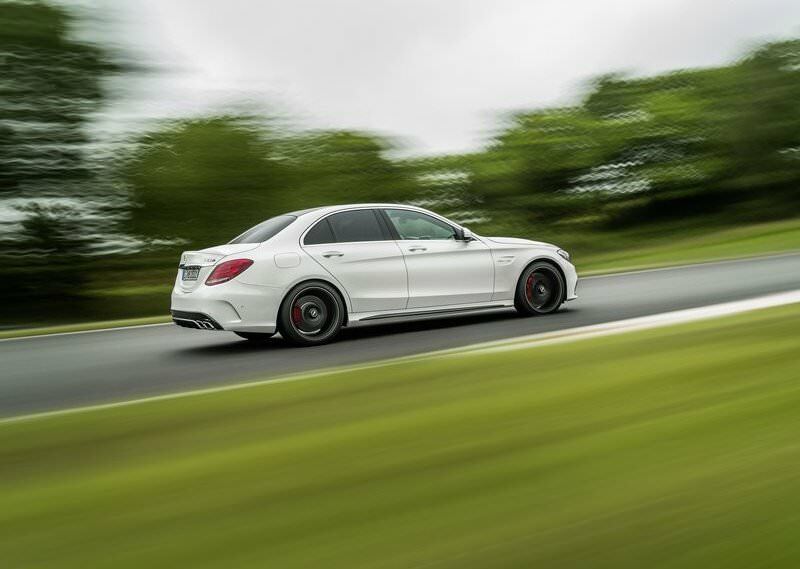 AMG dynamic engine mounts, AMG high performance brakes, AMG electronically controlled rear locking differential are some of the standards on the new C63 AMG. Besides this AMG will provide ride control, a speed sensitive steering wheel, chromed twin exhaust pipe pair and a few other goodies. An AMG black grille adorn the front of the C63. The C63 AMG will wear 18-inch alloys while the ‘S’ will go one size higher. Over on the inside you get a AMG instrument cluster, leather/microfiber seats, AMG steel pedals. A flat bottomed steering wheel will increase the sporty appeal, not that it needs any. 2015 Mercedes C Class brochure specs leaked!